DXT-MON vs. Neumann KH-120A ... or "How far can I get with DIY and where are the limits"
"How far can I get with DIY and where are the limits?" The "critical question" was whether it would be possible to top or equal the active monitor KH-120A, presentet by Neumann, with a budget <= 1300 € / pair / active, what was the price of the KH-120A, with comparable dimensions. In the following now the comparison of the two speakers. All measurements were made under identical conditions. Nothing was whitewashed, added, or poised. The pair DXT-MON was activated with a Hypex AS 2.100 module. There were no filters set. The measurements are shown in animated GIFs, with picture changes every ~ 3 seconds between the two speakers. 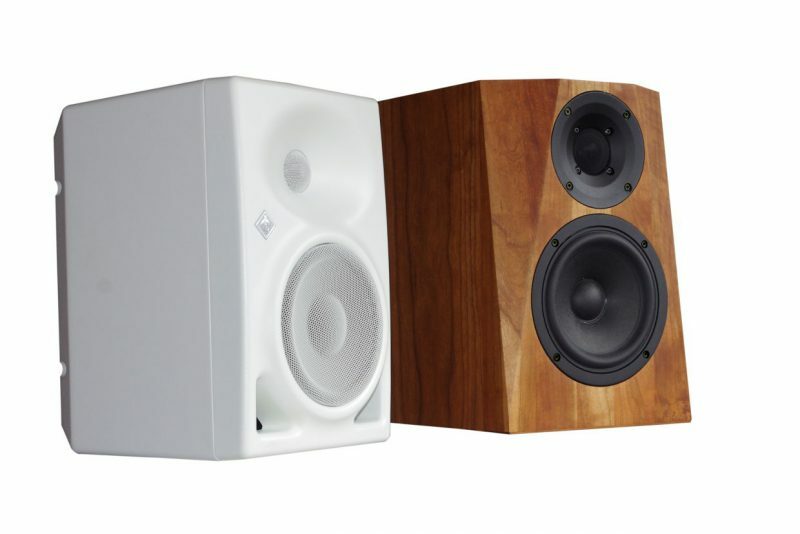 Both speakers have a very uniform horizontal dispersion. DXT-MON tends to be broader. In terms of balance, in my opinion, none of the two are considered better => draw at a very high level! It gets a bit more difficult because both candidates have inherent weaknesses. Both show a cut-off at the crossover frequency and a sidelobe at 3kHz below ~ 30-60 ° down. For the DXT-MON it is a bit more broadband, on the other side the KH-120A shows a longitudinal resonance of the BR channels (at 1,5kHz). I would be inclined to attach a little more importance to longitudinal resonance, it would anyway call it a draw . The developers of the KH-120A have managed to circumvent the usual problems of front-mounted BR channels as far as possible. This has been achieved, for example, by providing foam-filled slots in the channels, thereby "smearing" spill effects and equalizing them to the tuning frequency. Nevertheless, the longitudinal resonance at 1,5kHz still strikes with ~ -16dB, which is particularly noticeable in the measurements downwards, eg. towards the tabletop, shows. Also, the bass reflex channels still contribute to over 300Hz to the overall action. For this purpose, a limiter can be set. This works extremely practical, fast and reliable. Very good! ... virtually everything can be adjusted. For standard corrections, such as the 4-level acoustic control for bass, low-mid and treble of the KH-120A, there is no need for measurement technology. The passive diaphragm, and the outstandingly good WF152BD06 are, in the author's point of view, the tip of the scales towards a tight but deserved victory on points for DXT-MON. 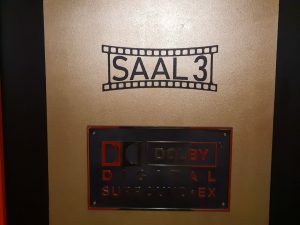 6 thoughts too "DXT-MON vs. Neumann KH-120A ... or "How far can I get with DIY and where are the limits""
I am new to speaker DIY, and trying to understand this a bit more. On the Heismann website there are two designs for DXT-MON, one with a passive radiator and another with a port. IIRC. 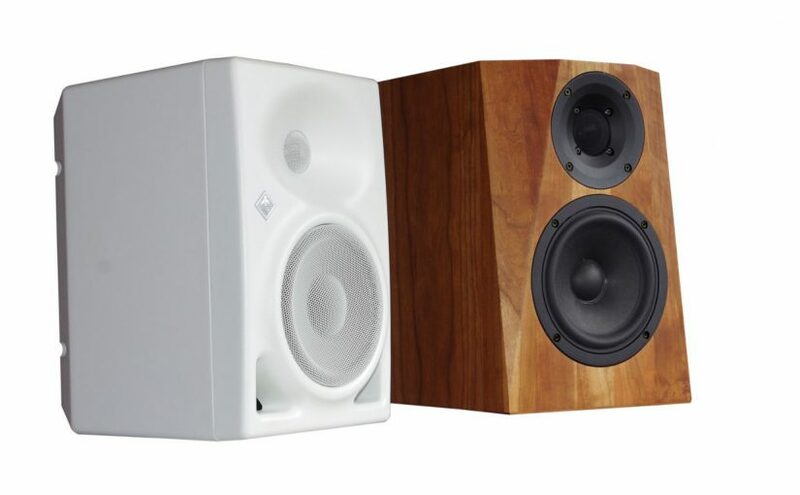 Both of these designs are passive monitors (with passive crossover kit parts IIRC), with no specification of any amp. Which one of the versions of DXT-MON is compared to the Neumann KH120's? 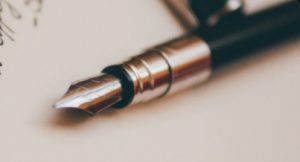 If I wish to build the same version of the DXT-MON which has been favorably compared with the KH120, in this review, exactly what would I need to order, and from which company? Will by DIY effort just do the assembly of the kit, or do I therefore need to build the wooden case myself? Is there any provision in the wooden case for mounting the hypex amplifier (eg cutout). Many questions indeed, and thanks for responding .. I did not compare the passive radiator version (8l) to the KH120A. The BR version goes even deeper, but needs a bigger enclosure (9,5l). If size doesnt matter I would recommend to build the 9,5l version (PR or BR). You can buy the technical kit in my shop if you live in the EU. If not, you can buy the plan and then get the parts from any dealer in your country. The housing / cabinet you have to build anyways. I used the hypex as an external unit. You are free to put it in the cabinet. But it needs its own chamber. 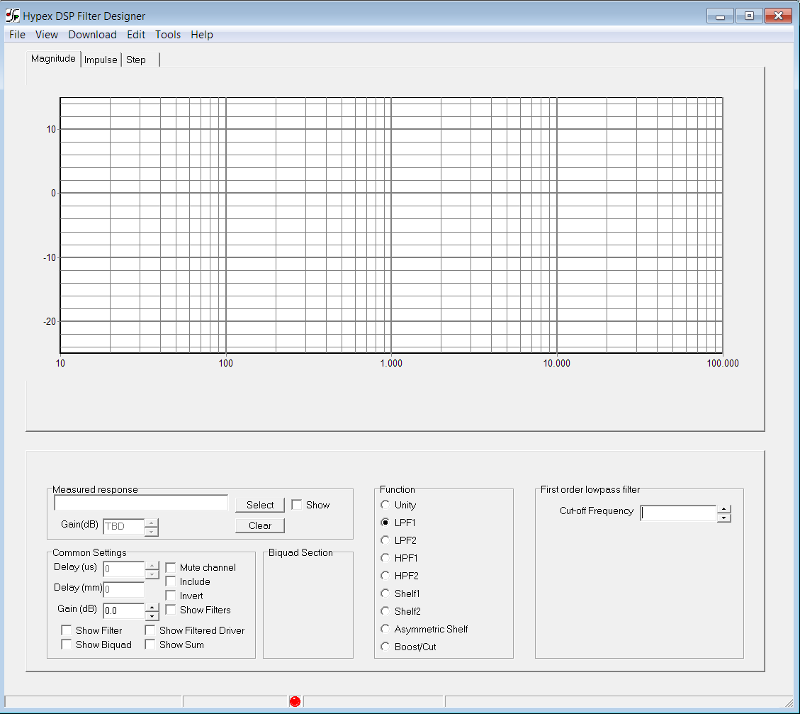 Meantime I would prefer to use a mini-dsp setup. 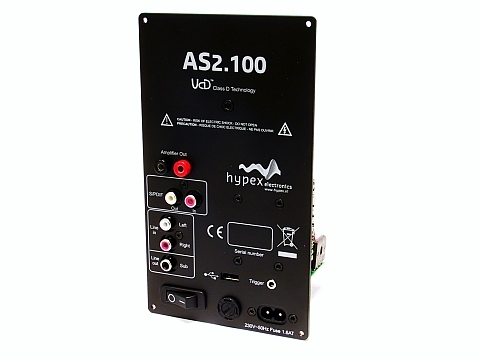 DSP setups are available for Hypex and Mini-DSP systems. I hope I could answer your questions! The KH120A is perfectly in phase at crossover on-axis while the DXT-MON is not in phase on-axis. The KH120A has put the woofer more forward and the tweeter more back in the waveguide and combined they are giving the right amount of vertical distance to the acoustic centers of the woofer and tweeter so they are in phase, no phase correction needed in the crossover. The DXT-MON has the tweeter slightly back in the waveguide too but no forward woofer and the result is that the acoustic center of the tweeter is actually more forward than the acoustic center of the woofer, hence they are not alligned. This is not corrected for in the crossover. 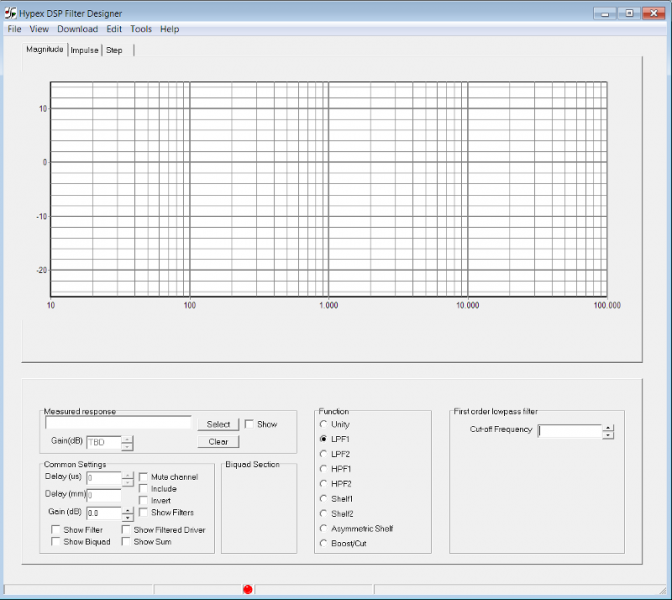 1.8kHz when listening on the DXT-MON. I would like to add a point to the KH120A for this .. Thanks for your comment. I have to contradict you unfortunately. Althoug the voice coils of the Kh120A are closer to each other than those of DXT-MON, Kh120A's woofer is even more delayed than DXT-MONs! 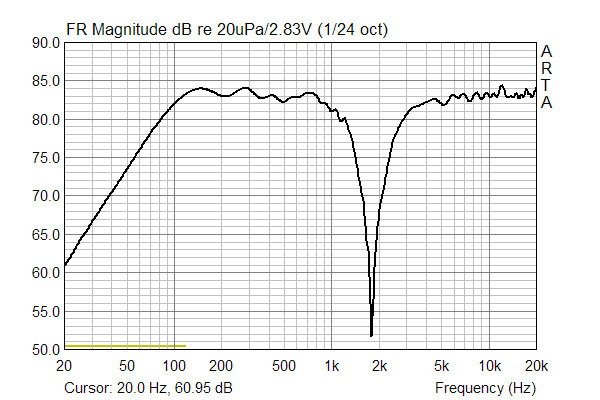 The woofer delays are about 0,24ms (~ 8,2cm) vs. 0,18ms (~ 6,5cm) [KH120A / DXT-MON]. DXT-MON is very well in phase at the crossover point. As the owner of a pair of the KH120, I recently had a friend come to visit me with his newly built couple of DXT-Mon. We heard and measured the speakers under exactly the same acoustic conditions. There were significant differences in sound and metrology in the low bass and in the treble. The KH120 developed a lot more low frequency energy under 100Hz in our test, but the DXT-Mon was fresher and more lively (stage, localization sharpness and detachment from the speakers was very good for both couples). With the EQ of the KH120 you could attenuate the acoustic and metrical first very significant difference (KH120: + 1dB in the treble, -3dB in the lower middle, -1,5dB in the bass) but the DXT-Mon was still the clear winner in terms of sound. It should be mentioned that I use the KH120 always additionally with a DSP for room correction, but the test was first without EQ and then only with the onboard means of KH120 (the DXT-Mon was already "just right"). A clear building recommendation from me! A great and objective comparison test. All acoustic characteristics and the price difference aside - the DXT-MON is in my eyes far, much more beautiful to look at!